Militants have carried out 35 attacks since midnight. 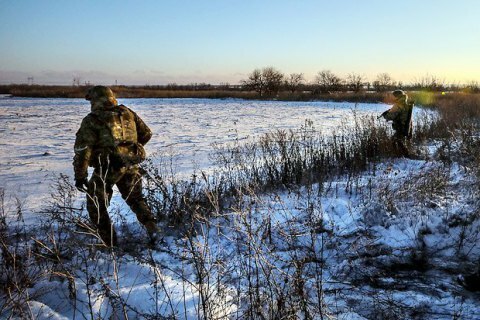 Three servicemen were killed and four wounded in the antiterrorist operation (ATO) area in Donbas on 16 February, the ATO HQ press centre has said in its evening update on Facebook. In the Donetsk sector, militants fired with mortars on Avdiyivka, Kamyanka, Pisky, Zaytseve and Verkhnyotoretske, with grenade launchers and small arms on Kamyanka, Zaytseve, Avdiyivka and Pisky. A sniper was active near Zaytseve. In the Luhansk sector, militants fired with 120-mm and 82-mm mortars on Krymske and with grenade launchers and small arms on Lobacheve and Novooleksandrivka. In the Mariupol sector, they used 120-mm mortars against Shyrokyne, grenade launchers and small arms against Maryinka, Novoselivka, Vodyane, Lebedynske, Shyrokyne, Pavlopil and Hnutove. Shyrokyne came under fire from an infantry fighting vehicle. Bohdanivka was targeted with antitank missile systems. One Ukrainian serviceman was killed, three wounded and one injured in Donbas on 15 February. Does Flynn's resignation mean the White House is "ridding" of Kremlin clout?